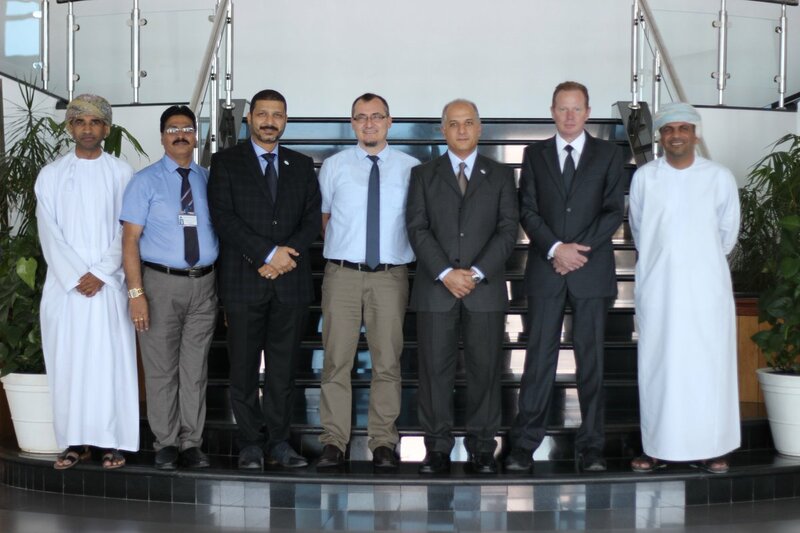 Audit Team from ClassNK, Japan, led by the Lead Auditor Mr. Alpay Ocak with two observers, Mr. Yasser Mostafa Elhoti and Mr. Emad Nasr Eldin have visited International Maritime College Oman (IMCO) on 5th, October 2016 for the 2nd Annual Audit of ISO9001:2008 Certification. The delegates were received by IMCO Management Team and the auditors spent the whole day verifying IMCO QMS system and its compliance with the ISO 9001:2008 Standards by meeting various departments and process owners. The team also made an extensive tour of the campus to assess the infrastructure and the other support services available in the college.